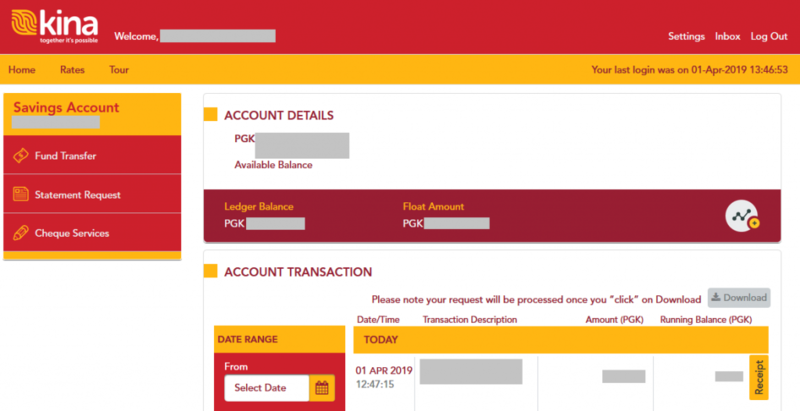 This article looks at the online banking experience for the 3 main retail banks in Papua New Guinea. I am currently a customer of all 3 banks so the below screenshots are current as at the date of this post. I will list them in order of best to worst, in my opinion. For a fee analysis of these banks, please see my other banking post; link. Easily has the best online experience (Kina Bank could beat them, see why they don’t below). If you are already a customer, make sure you change to the multi-view option in the top right corner after you log in; see red circle in screenshot. BSP give you a security token that generates a 2 Factor Authentication (2FA) code when you press a button on it; this avoids needing SMS 2FA which is very useful in PNG. Their app is ok but a bit clunky so I only access via a browser. 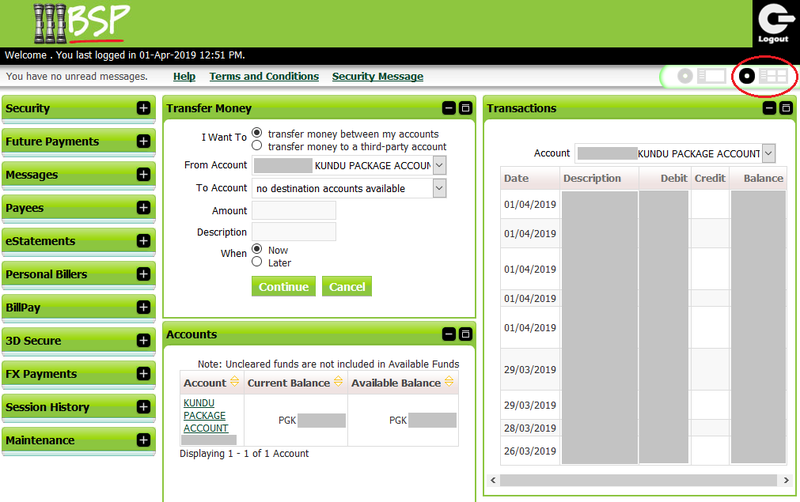 You can set up regular online transfers to other PNG accounts and transfer money internationally through their online platform. Kina Bank have recently taken over ANZ’s retail operations and have told me that 2019 will be a big year for them “digitally”. They have a modern online platform that is fully responsive with screen sizes. They use SMS 2FA and, from my experience, this only works with Digicel numbers (this was tested in 2017 so may have been expanded to Bmobile now). They do not have the ability to schedule regular transfers or transfer internationally through their online platform. 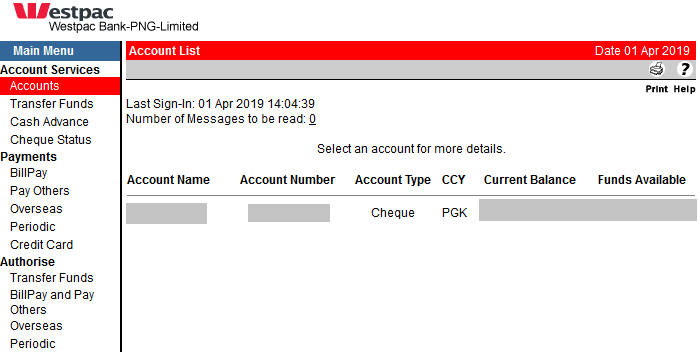 Unfortunately Kina Bank also does not display transaction descriptions online for ATM and EFTPOS transactions (last tested in 2018). I did an online transfer today and it had an appropriate description. Maybe they have fixed it, I can’t find my Kina Bank card to test! 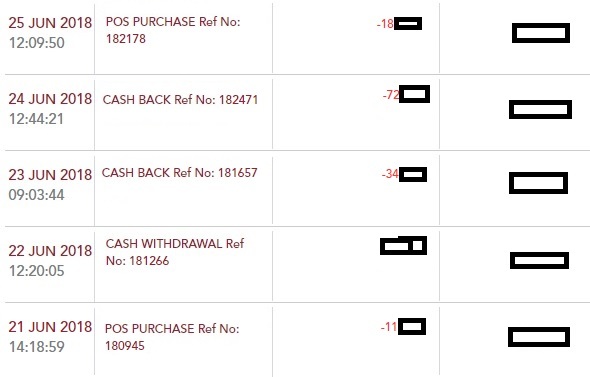 These transactions are a mix of ETFPOS and ATM withdrawals. As we keep a tight budget, we need to know the business these transactions are from! It looks like they are using an online platform from the 1990s and have the fees to match. 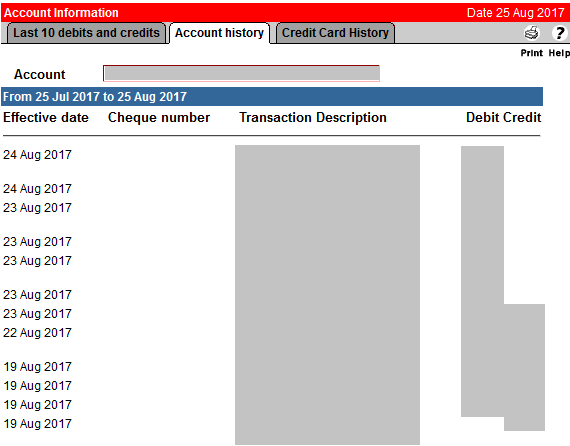 I was never able to get the scheduled transfers working with Westpac, even though their system suggests it is possible. I have heard from others that they have SMS 2FA however, I was never asked for 2FA whilst I was banking with them. Their GUI is clunky and non-intuitive and they take their online banking system offline for a few hours every night for processing. Go with BSP until Kina Bank completes their ANZ merger and upgrades their online banking experience. Expat on a 3 year posting to Port Moresby. I love sports with a board under my feet, getting the best value for money, computer stuff and my missus.